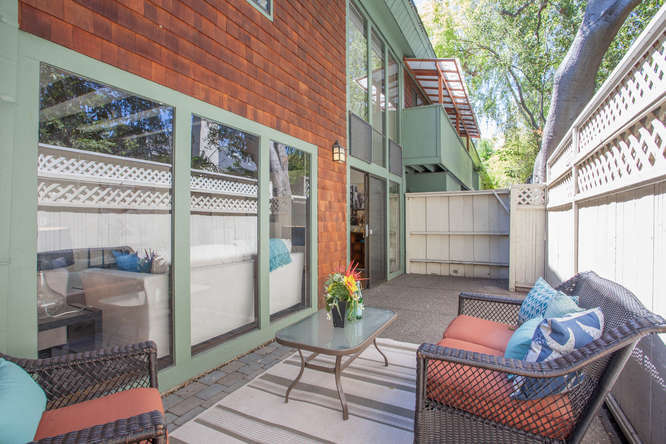 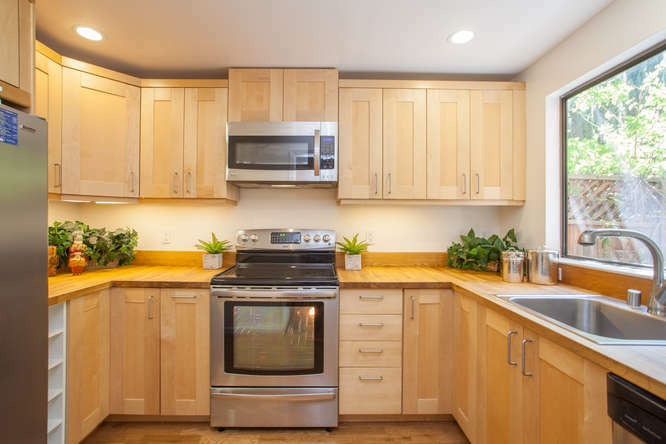 Located in Old Palo Alto, this townhome is a rare find tucked three homes back from Alma Street. 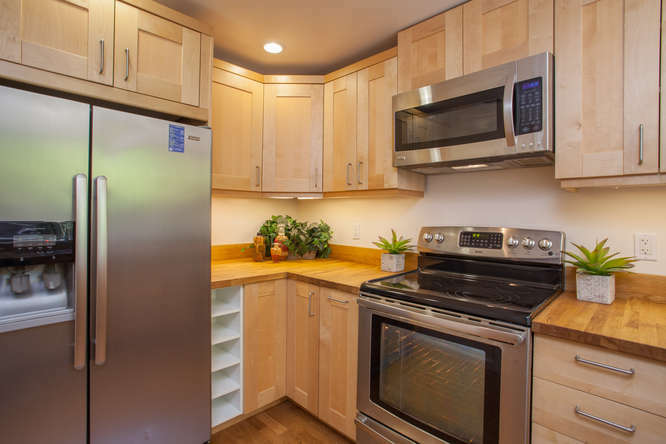 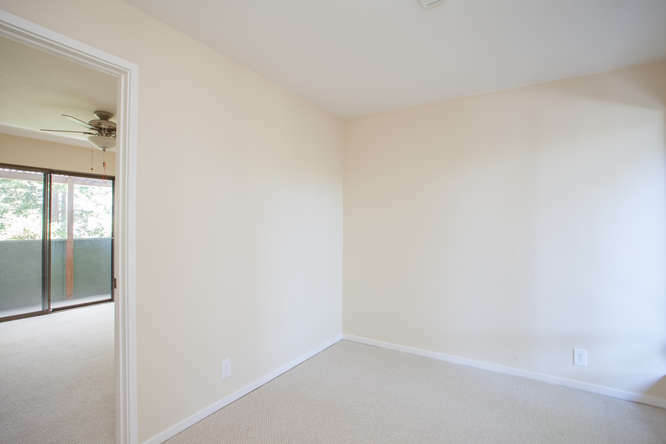 Close to Stanford, downtown Palo Alto and Caltrain in addition to being just three blocks from Palo Alto High School and one easy mile from Jordan Middle School. 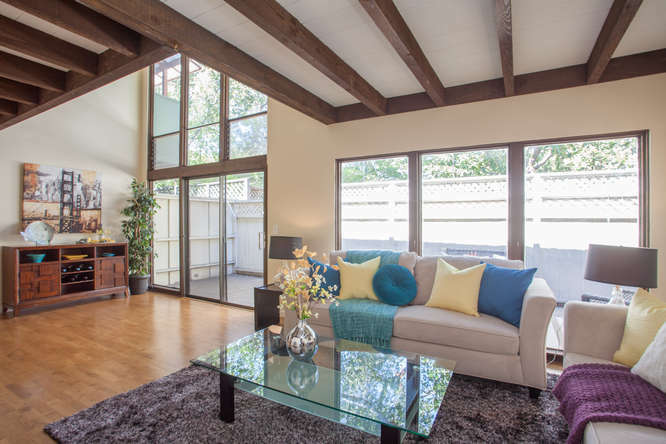 The two-story home boasts large windows and well positioned skylights, allowing for plenty of natural light. 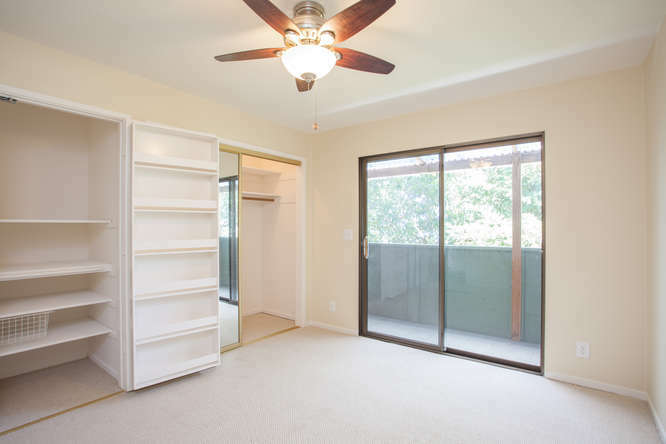 In addition to the updated kitchen with butcher block counters is the house’s newly carpeted guest bedroom and study. 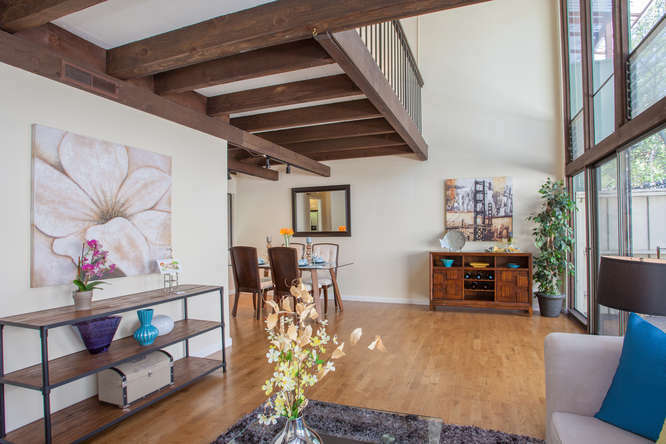 The living space has a high, beamed ceilings and a comfortable living-dining-L. 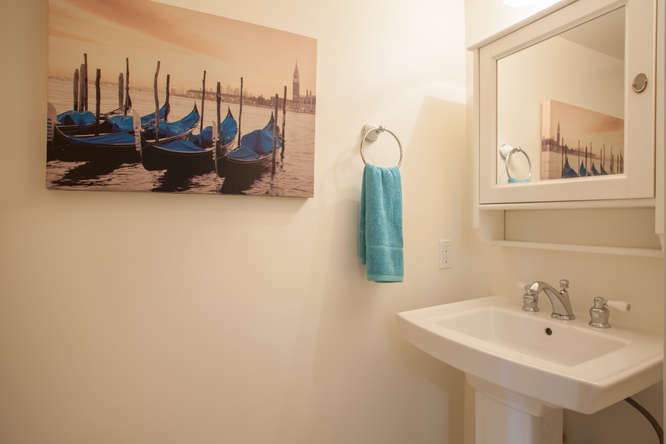 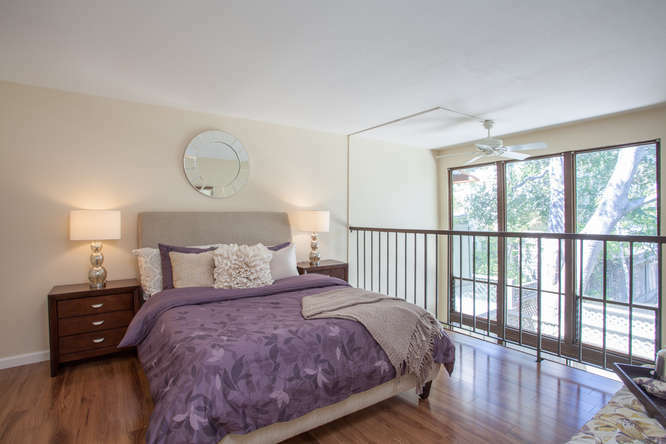 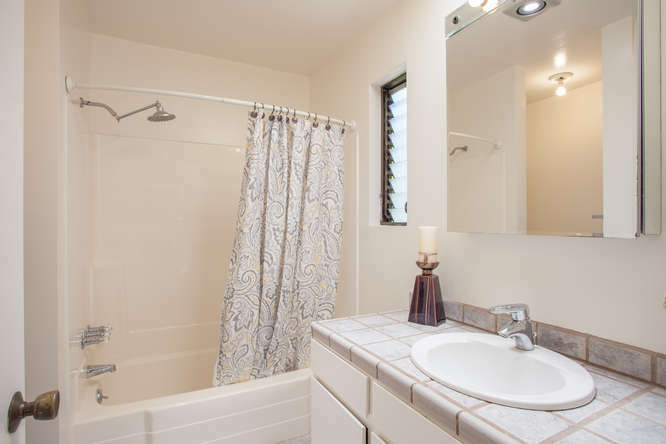 Throughout the property is ample storage, hardwood floors, and balconies from each bedroom.